Caroline studied Law at the Queen's University, Belfast. She then pursued post-graduate studies in the field of European Law, with a particular interest in the judicial review process and access to the European courts. She obtained a Master's degree (MSc) with Merit in European Public Policy from Queens University, Belfast in December 2000. The focus of her research for post-graduate studies was the locus standi of public interest groups in the European Court of Justice, and the lessons that could be learnt from examining the standing of such groups in already established legal systems in the USA and UK. Caroline joined the Litigation team in Higgins Hollywood Deazley Solicitors in September 2001 and has since specialised in the field of Personal Injury Litigation. She was promoted to her current role of Associate Solicitor in November 2012. Caroline has expertise in a broad range of matters including high value and complex personal injury claims arising from road traffic accidents, slips and trips in public places and accidents at work. She has been successful in achieving compensation in catastrophic and high value fatal accident claims. 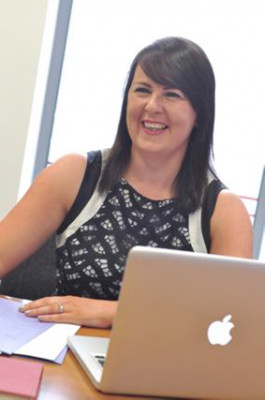 Caroline has dealt with litigation matters in many different jurisdictions including the Republic of Ireland and holiday claims throughout Europe. She has experience of representing clients in all tiers of the court system, from the County Court to the Court of Appeal. Caroline has extensive experience of both obtaining and defending civil injunctions under the Protection from Harassment (Northern Ireland) Order 1997. Caroline has brought a number of successful Judicial Review applications in the High Court. She has a particular interest in educational rights on behalf of young children and has supported families in their legal case to have their child statemented and obtain educational support within the school system. She was successful in many Prison Judicial Reviews and Human Rights cases where she obtained additional support for prisoners including the appropriate medication prescribed. She recently represented the mother of a young man who tragically died whilst in the custody of Maghaberry Prison at a Coroner’s Inquest into his death. As a legal aid practitioner Caroline has an excellent working knowledge and understanding of the legal aid system in Northern Ireland and can provide advice on all aspects of civil legal aid. She regularly applies for After the Event Insurance on behalf of her clients and also utilises legal expense insurance within home insurance policies. Caroline is a member of the Belfast Solicitors Association - www.belfast-solicitors-association.org and the Law Society of Northern Ireland - www.lawsoc-ni.org She also works closely with our local schools on behalf of HHD, including sponsorship of prizes, lecturing the students at career events and supporting the staff in other annual events. Caroline’s school engagement includes sponsoring the netball teams in Girls’ Model, the football teams in Boys’ Model, school prizes in St Malachy’s and annual events in Our Lady of Lourdes Primary School. Caroline also has links with Ulster University and our annual support of the School of Law students. We offer an initial free consultation to discuss your problem, your options and the costs involved. If you are eligible for legal aid we will let you know at an early stage and we will complete the application forms with you. If you are not financially eligible for legal aid we will outline the potential costs that will be incurred in the work you have asked us to do and if you have any prospects of recovering these costs from another party.